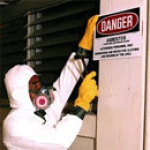 Individual Prerequisites If you wish to work as an Asbestos Supervisor for an existing licensed asbestos firm in GA, there are no pre-requisites for this course. 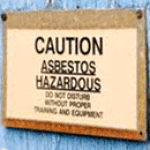 Individuals who need to be the Primary Agent for an abatement firm must show proof of experience working on at least 3 previous asbestos abatement jobs as a licensed asbestos worker or supervisor. Refresher Training Renewal fees are the same as initial fees. 8 hour refresher training annually. Reciprocity Georgia does not have asbestos reciprocity agreements with any state. Therefore, Georgia will not accept Contractor/Supervisor (C/S) training certificates from training programs approved by any other state, even though such state may be authorized by EPA to operate an asbestos program Georgia will only accept training certificates received from a training program with direct EPA approval or approval by the State of Georgia. Use the NDACC guide to determine the acceptability of your training in Georgia. Great instructor! Answered all my questions and explained in detail his answers to the questions I had. I am extremely... Great instructor! Answered all my questions and explained in detail his answers to the questions I had. I am extremely happy and all my employees will be going to Seagull in the near future. I had a great experience. Thank you for providing such a good training class! I had a great experience. Thank you for providing such a good training class! Both instructors were very nice and answered any questions we had. I feel the course could be reduced into 3 days. To... Both instructors were very nice and answered any questions we had. I feel the course could be reduced into 3 days. To much “extra footage on videos”. Overall, I learned a lot and feel it was a good preparation for the state contractors exam. I will be back for my refresher course! The hands-on portion was a nice exercise. They reviewed the material after and always... I will be back for my refresher course! The hands-on portion was a nice exercise. They reviewed the material after and always asked if you had any questions. The staff was extremely kind. Very informative class. Very knowledgeable teachers. Would recommend for anyone looking for training. Very informative class. Very knowledgeable teachers. Would recommend for anyone looking for training. Amazing service and training. I will do all my trainning with these guys. Amazing service and training. I will do all my trainning with these guys. Pretty good class. Pretty good class. The instructor was very knowledgeable. I gained a lot of knowledge from this class. The instructor was very knowledgeable. I gained a lot of knowledge from this class. Maybe a little more hands-on. Maybe a little more hands-on. The course was good. I had questions which were answered to my satisfaction. I appreciated the historical perspective on... The course was good. I had questions which were answered to my satisfaction. I appreciated the historical perspective on asbestos abatement. I would have liked a bit more information about licensing and perhaps also a bit more about interacting with the EPA. This was an informative class on Asbestos. It allowed me to gain knowledge that will allow me to create a better work environment... This was an informative class on Asbestos. It allowed me to gain knowledge that will allow me to create a better work environment for my abatement workers. The class was concise and succinct. The instructor made the information very understandable and answered all our questions... The class was concise and succinct. The instructor made the information very understandable and answered all our questions with the professionalism that every professor should have. I am glad I took the course. Good instructors and good help. Due to all the help to understand the contents, the whole class passed easily! Good instructors and good help. Due to all the help to understand the contents, the whole class passed easily! The class was very easy to follow. The information was given in such a way that you cannot misunderstand it. It was very... The class was very easy to follow. The information was given in such a way that you cannot misunderstand it. It was very entertaining. Nice and very complete course. The staff helped a lot. They also know a lot about the topics. Nice and very complete course. The staff helped a lot. They also know a lot about the topics. I learned a lot in the class. The information applied to our specific work-scenarios; was a great plus. I learned a lot in the class. The information applied to our specific work-scenarios; was a great plus. Training and Information provided very professional and helpful. Training and Information provided very professional and helpful. It went good we all passed the test. It went good we all passed the test. This course was very informative. This course was very informative. Very welcoming environment. Informative and insightful. Very welcoming environment. Informative and insightful. Great experience ... a real eye opener in the abatement process. Great experience ... a real eye opener in the abatement process. Class was great. I had plenty of great interactions with the instructors. Class was most helpful. Class was great. I had plenty of great interactions with the instructors. Class was most helpful. Excellent, very informative and precise information .. would recommend to anyone. Excellent, very informative and precise information .. would recommend to anyone. I enjoyed the program. Robert is very knowledgeable in the industry. I will take more classes in the future. I enjoyed the program. Robert is very knowledgeable in the industry. I will take more classes in the future. Instructor extremely knowledgeable in the area of Asbestos. He made my learning experience easy to understand. Instructor extremely knowledgeable in the area of Asbestos. He made my learning experience easy to understand. Instructor was nice! Instructor was nice! They were very knowledgeable and helpful in the classroom. They were very knowledgeable and helpful in the classroom. Great class. Fulfills requirements for my state. I'll be back for my refresher. Roll Tide! Great class. Fulfills requirements for my state. I'll be back for my refresher. Roll Tide! Jim Stump is a Rockstar in the Asbestos Industry. Jim Stump is a Rockstar in the Asbestos Industry. Excellent class, was very well presented. Excellent class, was very well presented. Good class and very good and knowledgeable staff. Good class and very good and knowledgeable staff. My trainer was awesome! My trainer was awesome! Mark was great and extremely helpful.....he answered all questions and displayed extensive knowledge of the subject matter. Mark was great and extremely helpful.....he answered all questions and displayed extensive knowledge of the subject matter. 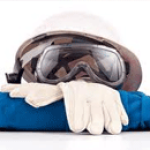 Information was good and prepares you well for the test and what you would need to know to be an effective asbestos abatement... Information was good and prepares you well for the test and what you would need to know to be an effective asbestos abatement supervisor. Also offered additional materials for continuous learning. This course was taught to me where I understand why it is important to treat asbestos with extreme caution. I also feel that... This course was taught to me where I understand why it is important to treat asbestos with extreme caution. I also feel that the hands on activities got me prepared for the work field. I plan on coming back to learn lead in the near future. Very friendly and helpful staff! Very friendly and helpful staff! I liked the information and its presentation. Instructors were knowledgeable and available. Hands on was also good. I learned... I liked the information and its presentation. Instructors were knowledgeable and available. Hands on was also good. I learned things and would use them again. Thank you!